Wall Sconce is hand-finished in black, is 10-inches wide and features white faux alabaster. 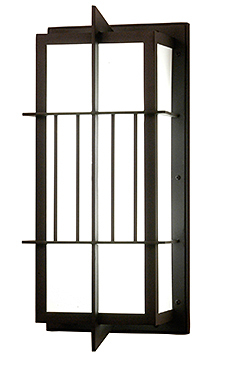 The Rockport Wall Sconce is 22.25 inches tall, 10 inches wide and 7 inches deep. Custom colors, designs and sizes are available. Energy efficient lamping options are available.